A few years ago I started growing flowers for cutting. I like to have flowers around and however much time you spend in the garden you do spend more time in the house and so can appreciate them each time you pass. I don't always want to cut something from my borders, although I do cut from them, so it makes sense to grow things especially for cutting. The first year I tried having one bed but I have had greater success with growing a row here and there, often on the ends of my vegetable beds. This has the added advantage of enticing in the bees. These are a few of the flowers I have found to do well and last well in water. Sweet peas are always good, of course. They are over now but this is what they looked like a few months ago. I did have a smattering of flowers a couple of weeks ago but we have had no rain and I forgot to water them so they have completely given up now. I had cut all the flowers off a few weeks before. I always choose varieties which are scented and they just bloom and bloom for weeks if you keep picking (and watering). I still have many things flowering now, in September. No dahlias to speak of, if you have read previously you may remember that the slugs got them. The plants are hanging on to life but not exactly blooming. However there is plenty more. 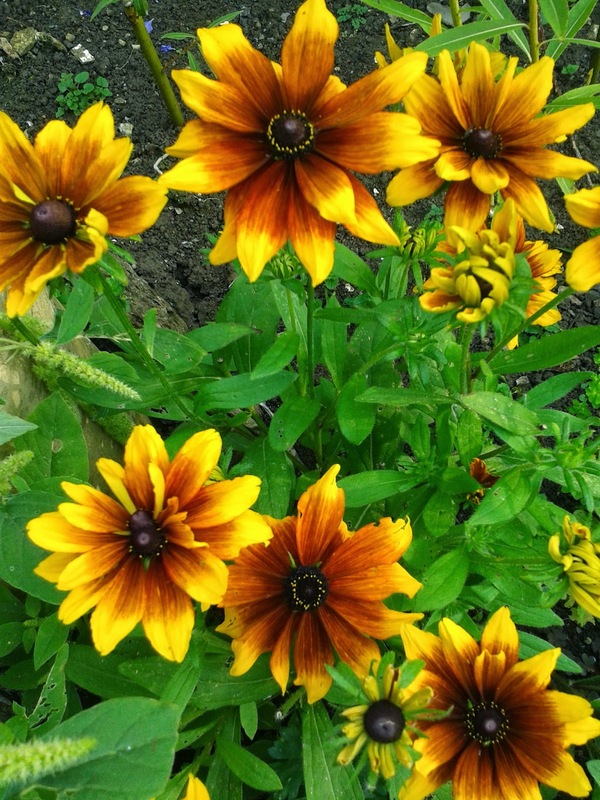 Rudbeckia Rustic Dwarfs. Flower non stop and last well in water. This photo doesn't do the colour justice. 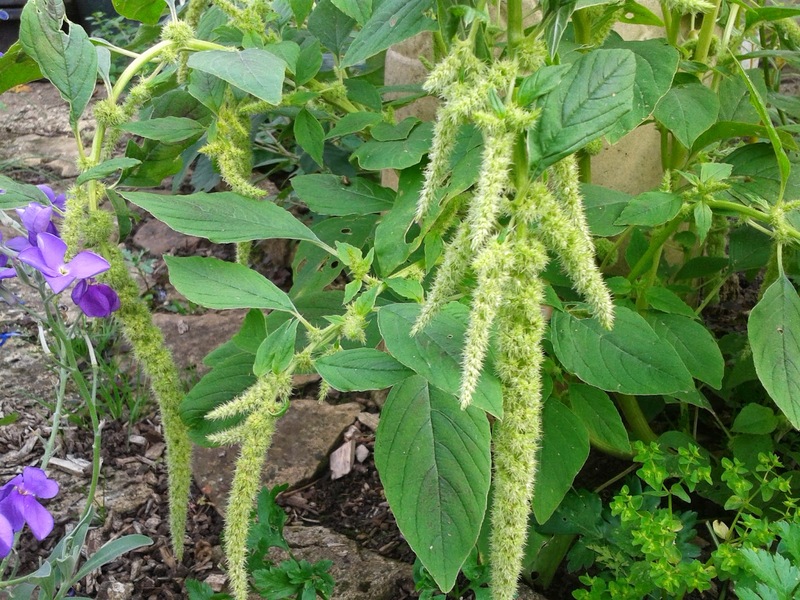 Amaranthus caudatus. 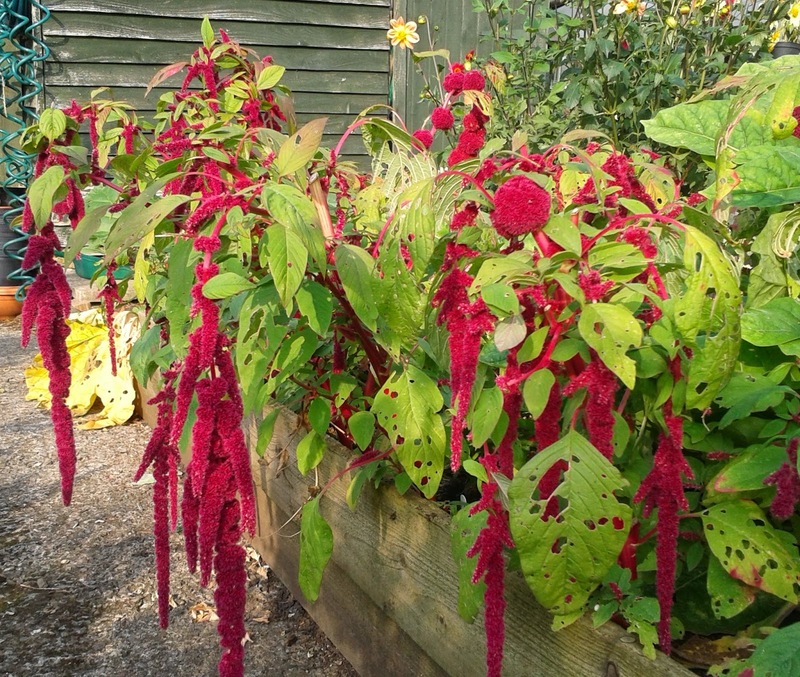 These are about 70cm long and look fabulous in vases trailing over the edge but they do drop pollen. There are lots of smaller shoots for little vases. The same in green. Not nearly so vigorous and much more subtle. 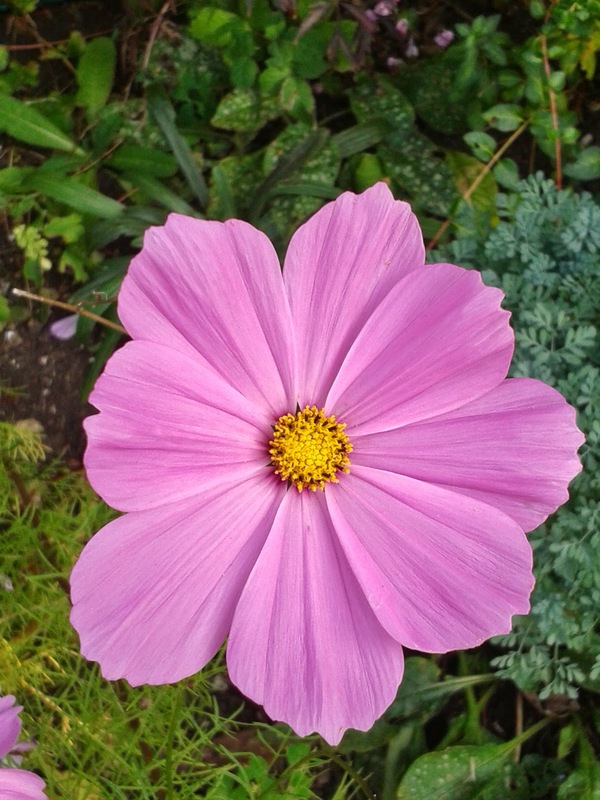 Cosmos flower from summer to the first frost and are so dainty and airy in the garden as well as lasting well when cut.They are in shades of pale and dark pink. 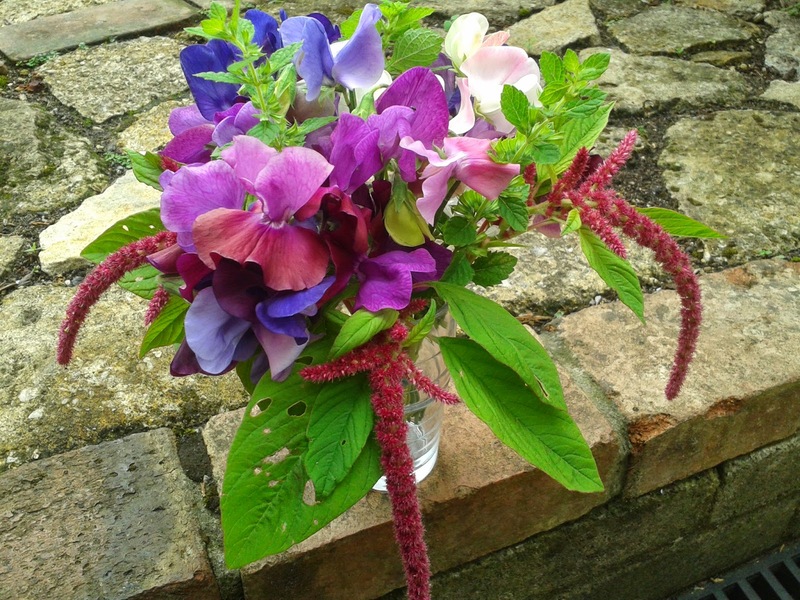 I often make little posies as they are quick and easy. 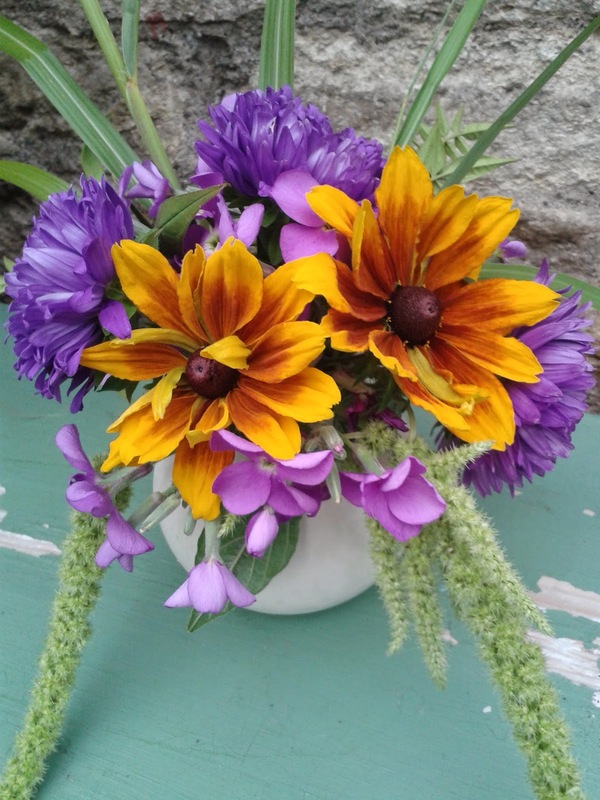 You only need a few flowers and they can have short stems. I must admit to having taken this photo last year. I wanted to go and get more photos today but we have had torrential rain and thunderstorms last night and today has been GREY! The garden is so pleased with the rain though, I can hear the plants sighing with relief. I'll have another go on a bright day.